KUALA LUMPUR: After 29 years, the Sumbangsih Cup finally returns to Johor after the Southern Tigers defeated Pahang 2-0 at the Tan Sri Hassan Yunos Stadium in Larkin, tonight. The last time Johor won the Sumbangsih Cup was in 1986. Goals from imported players Marcos Antonio Elias Santos in the 37th minute and Luciano Gabriel Figueroa in the 58th minute were enough to erase Johor Darul Ta'zim's (JDT) five-game losing streak against Pahang. 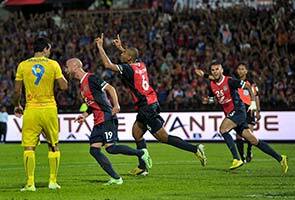 The win also saw JDT picked up three points to kick-off this year's Super League campaign. In the match in front of 25,000 spectators, JDT were seen to have controlled the entire first half and pulled off a few exciting goal attempts. However, three consecutive attempts by Jorge Pereyra Diaz in the 13th, 14th and 18th minutes did not see the net. Mahali Jasuli and Figueroa also came close in the 30th and 33rd minutes, but they could not fool Pahang's goalkeeper, Mohd Kairul Azhan Mohd Khalid. However, the Southern Tigers, who were coached by Bojan Hodak, finally broke through in the 37th minute when Santos headed the ball into Pahang's net. The game was more even in the second half, with both teams launching attacks. Johor however, continued to lead the game when Figueroa headed in a fine goal from captain Safiq Rahim's corner kick in the 58th minute. The play intensified towards the end of the match, but the score remained 2-0 after the final whistle.